Best free software to rip DVD to any file format, for iPad, iPhone, iPod, Samsung, Android device. Free download with video and software guide. AVGO Free DVD Ripper can easily rip DVD to AVI, MP4, MKV, etc. and it does it even faster, better than most competing paid and free software. It also has a handful of useful features that other free DVD ripper just don’t have. 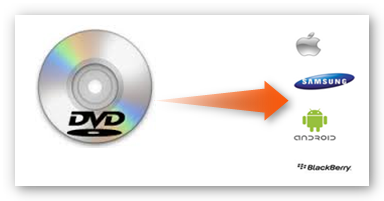 Why rip DVD with AVGO Free DVD Ripper? The hassle-free installation and non-complex user interface makes it the ideal DVD ripper for beginners and non-techie users. It does not require any 3rd party software or any other add-on program. Includes pre-defined settings for most portable devices including (but not limited to) iPad, iPhone, iPod, Samsung, PSP, Zune, Android, Blackberry and a whole lot more. It automatically assigns the video encoder, bitrate, frame rate, etc. that works best for each device. You can easily adjust the settings via Audio/Video Output Settings to customize the output file to your preferred video size, video quality, output file size and more to make it suitable to your viewing requirement. Unlike other freeware available in the internet, AVGO Free DVD Ripper is absolutely free. No monthly or annual subscription required. Aside from that, you are also entitled to free software updates. AVGO Free DVD Ripper Software is certified clean by a reliable antivirus software company. Guaranteed NO malware, adware, spyware and virus. It is definitely 100% safe to download and install on your computer. Rip DVD now with Free DVD Ripper!